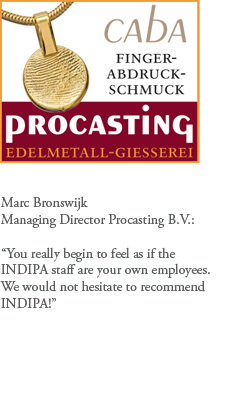 Do you want to do business in Germany but see a difficulty with the communication? 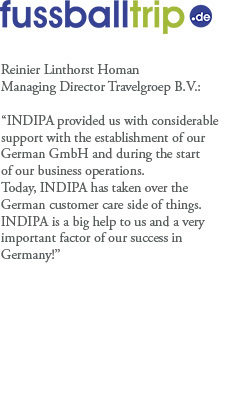 INDIPA supports foreign companies with their German customers in German. 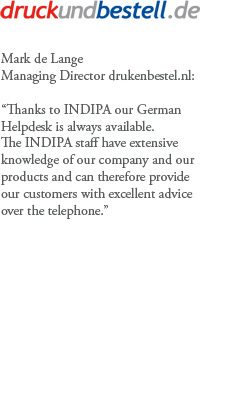 Making use of INDIPA’s German speaking customer service team spares you the hassle of renting an office in Germany, furnishing it and recruiting German staff. 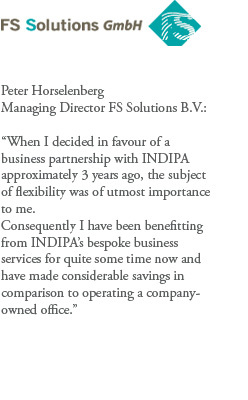 Moreover,the INDIPA option is likely to be simpler, more cost-effective and quicker. 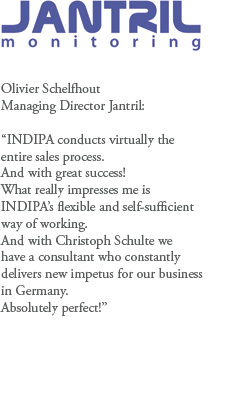 INDIPA has long-standing experience in undertaking the German customer service on behalf of a company, and the many successes we have achieved for our clients so far speak for themselves. When we carry out the customer service on behalf of our clients, we come to regard ourselves as an active and integral part of their company. 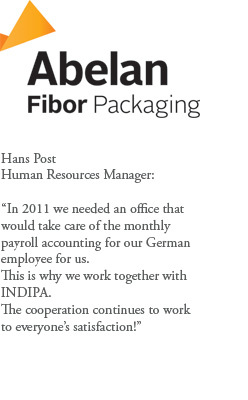 We work as if we represent a German branch of our clients’ company. For example, we have direct online access to many of our clients’ computer systems in order to swiftly and effectively carry out any purchasing orders that we receive. 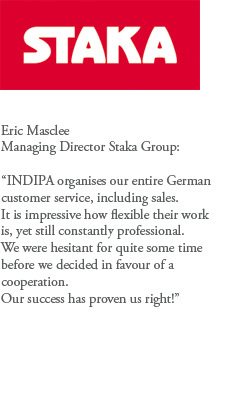 It goes without saying that we at INDIPA familiarise ourselves in detail with all of our clients’ products and services so that we can provide outstanding customer care. Every single member of our staff has a formal commercial qualification and work according to the latest standards that we have developed together with our partner, Mercuri International, one of the world’s leading consultancys for marketing and sales. We work in a highly professional, dedicated and committed manner, and carry out every assigned task for our client as if it were our own company. This is underlined by the fact that we practice results-related renumeration with some of our clients. 1. Cost saving: It has been proven to be significantly more cost effective for our clients to outsource their German customer service to us instead of renting and furnishing an office as well as recruiting staff. 2. Ready to go: After a short but efficient familiarisation we are ready to go, and our vast experience of operating in the German market further speeds up the whole process. 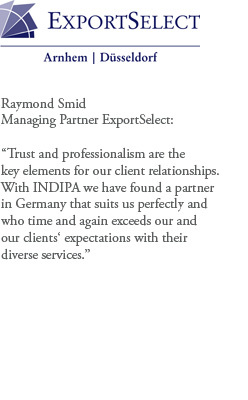 Our clients benefit from the existing INDIPA-infrastructure. 3. Marketing success: We offer marketing activities on a results-orientated basis. This way both of us stand to benefit from our marketing strength!